We invite you to the family Eucharist we celebrate in the chapel of the school once a month. Experiencing the Faith with our children is the best testimony that we can offer them, and doing so at the school which we have trusted with their education is undoubtedly a stimulus that will help them to follow Jesus’ inspiring path. 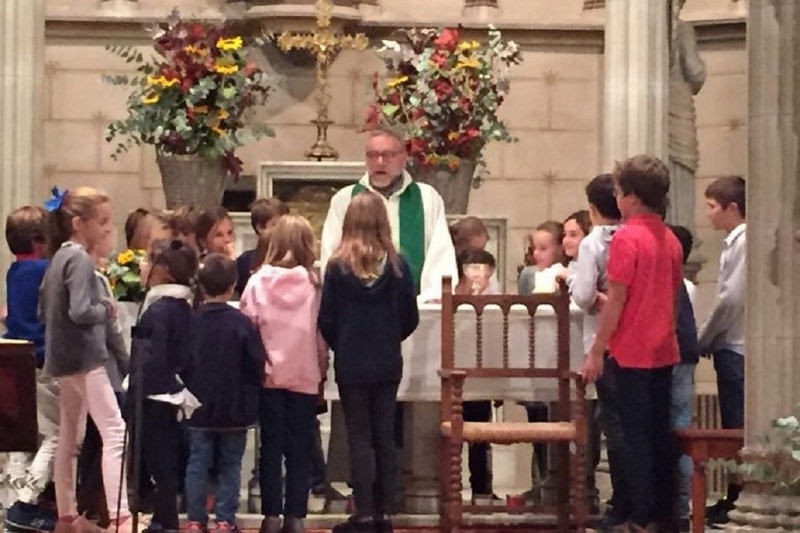 Children are the central figures in the mass; the jovial and relaxed atmosphere encourages them to experience it intensely, participating with their prayers and approaching the altar at the most significant points. The music, Joan Badia (the priest who usually takes the services), the voluntary cooperation of all the parents involved and of course the innate joy that children bring within them make this family celebration one of the most special moments in the month. We also provide a nursery service for younger children in the Covered Gallery. Time: Sundays at 6 pm.